If you’re a vintage tee aficionado or Stryper fan (just kidding) check out the new film Whip It. This flick scores bonus points with a vintage tee that isn’t just wardrobe eye-candy – it’s an integral part of the script. 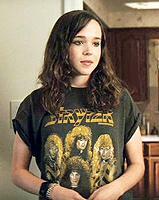 Ellen Page’s character “Bliss” sports a vintage Stryper t-shirt throughout and it actually thickens the plot. The tee cameo has the surprisingly still together band is in publicity heaven. They even weigh in on authenticity by pointing out the shirt in the film is a actually vintage bootleg and compare it to their licensed version. Any respect gained was quickly lost when I realized they’re cashing in by selling a reproduction of the film’s bootleg shirt from their website. The question is – do the original bootleggers get a royalty for their design? Shame on your Stryper – ironically greed got the best of your Christian based heavy metal outfit. Now I don’t feel bad for featuring you tops on our 10 worst vintage band t-shirts you must wear. Search Defunkd for an authentic vintage Stryper t-shirt. 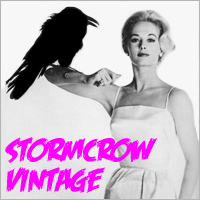 Our interview with a movie costume designer who specializes in vintage t-shirts.